Due to its many nuances, Journalism is one of the hardest subjects to learn as well as teach. After all, Journalism encompasses far more than just competent writing skills alone. Students will also have to learn about how to conduct proper research, how to identify a reputable source, how to write using a non-biased and professional voice, and far more. Without a skilled instructor, there’s the risk of a generation of future journalists being cast to the wind and left to learn the ropes on their own. The significance of proper teaching is why tests such as the OSAT Journalism test exists. 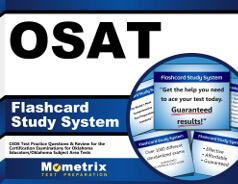 Like other tests of its kind, the OSAT Journalism test is designed to assess the readiness of today’s incoming Oklahoman teachers are to enter the professional world, its contents based on what teachers will need to know both in terms of their subject and actual teaching ability. You may be wondering how you can possibly prepare for such an important exam. Worry not, as the Mometrix Test Preparation team is here to help! We’ve composed a comprehensive OSAT Journalism (037) practice test just for prospective teachers like you. It features everything you need to gain an early glimpse of what you can expect to find on the full exam before it comes time for you to actually take the test. We have cultivated our practice test through careful observation of the real OSAT Journalism exam, so each of our OSAT Journalism practice questions remains relevant in terms of formatting and the subjects they broach. The practice questions you’ll find on our OSAT Journalism practice test total to 81, and split into two different answer categories. The essay portion, also known as “constructed-response,” takes up the smallest amount of test content at 15 percent. As such, it features only one question and one subject: Written Communication in Journalism. We encourage you to take advantage of this free study tool in whichever way you see fit. 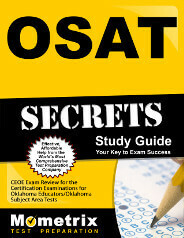 For best results, however, we recommend pairing this practice test with our companion OSAT Journalism study guide. Good luck!